I caught James Gunn’s Guardians Of The Galaxy, Vol. 2 last Saturday and what I found so impressive overall was the way Gunn managed so many stories and plot threats in a way that was not only cohesive, but made sense. Because–and trust me on this–there are so many ways Guardians could have easily collapsed under it’s own weight. What’s almost equally impressive is the way everyone gets their own arc, without the movie feeling bloated or over-stuffed. And Guardians Of The Galaxy, Vol. 2 is so gorgeous, as if it’s not only not afraid to admit that the worlds depicted first appeared in comic books, but is proud of it. And there’s not a cynical bone in the movie’s body, which is why when you see Baby Groot and Rocket you just go with it. Because you know–on a level conscious or not–that Gunn believes in these characters as much, if not more, than you do. Posted in action, Marvel, Marvel Comics, Marvel Studios, Movies, review, superheroes.Tagged Baby Groot, James Gunn, Rocket. 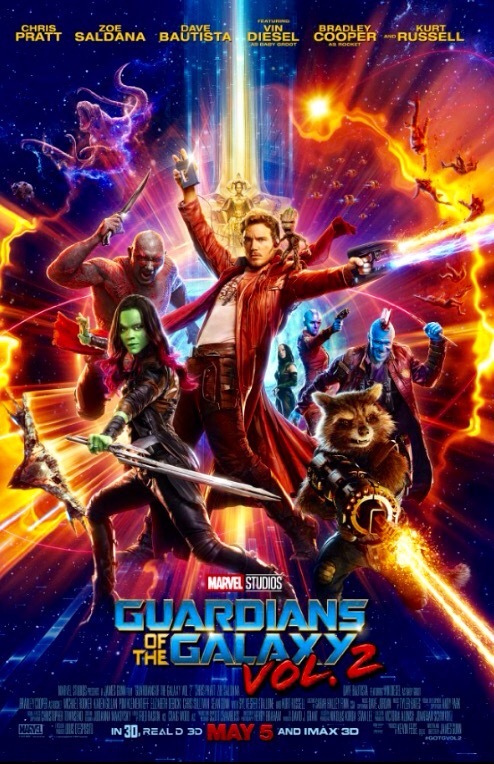 Next Post ‘Guardians’’ Box Office Is Out Of This World!